“I don’t want that one!” cries your child. Their voice cracks, and you can just tell you’re in for a tantrum. Out comes a wail and your little angel transforms into a screaming banshee that presses your every last nerve, just begging you to yell right back. But, getting into that power struggle won’t get you very far. We know, we’ve tried! Haven’t we all tried that route? If it results in compliance, it’s only because your child has been frightened into submission, and you’ll probably end up feeling guilty. There is a better way and you CAN learn to respond calmly. It takes some practice, but if you consistently follow these steps, you’ll find that it gets easier and easier to respond calmly to tantrums. Center yourself and remove yourself emotionally from the situation. It’s not personal, your child is just experiencing big feelings. Deep breathing has been proven to help you lower your feelings of stress. Seriously – try just a few deep breaths and feel the difference. Imagine you’re watching a soccer game and you’re the commentator. But, instead, you get to watch your kid. You might say “You are very frustrated and upset. You didn’t want that cookie/color cup/insert issue here.” This will help your child identify their feelings and become more emotionally aware. Eventually, your child will be able to use their words to help express themselves. It’s ok to change your course and give your child the right colored cup, etc. But, if you’ve already said “no” to something, this is not the time to backtrack. Just calmly repeat what you’ve said, something along the lines of “I will not give you a cookie right now.” If the tantrum is about putting a jacket on before heading out, you can offer for the child to do it themselves or for you to do it for them. If the child refuses, put the jacket on as gently as you can and move on, despite the tantrum. Your child’s tantrum won’t last too long. If you start using these techniques, the tantrums should get shorter and shorter. Take your child to a safe place if you’re out and about or simply allow your child to get their upset out wherever you are. Your child’s outburst released a lot of big feelings. Our children often act out because they want to feel connected to us. Make sure you find some time soon for a cuddle, a giggle, or to read a book together. This will reassure your child through connection. By following these steps, you can avoid a power struggle that will only make both of you feel worse. Remember, tantrums are temporary and normal. This stage too shall pass. 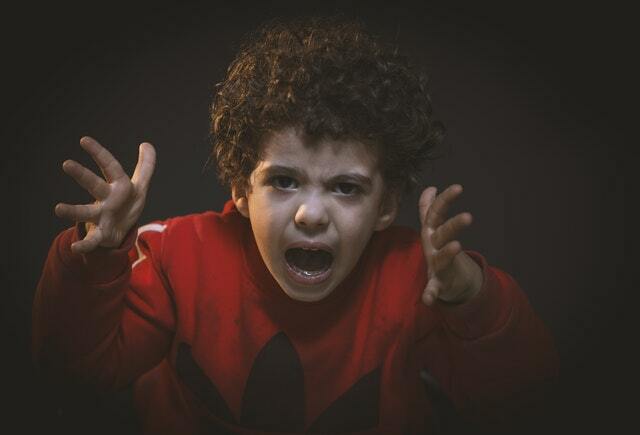 How do you handle tantrums? Do you have some tricks up your sleeve that work magic? We’d love to hear about them!